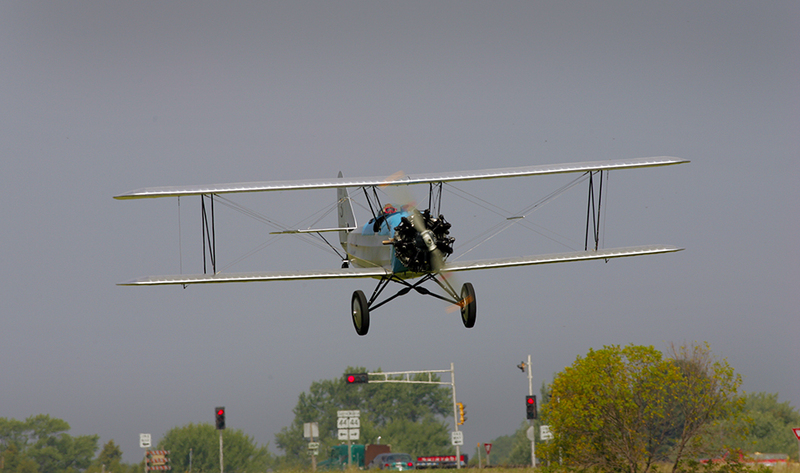 EAA’s 1927 Swallow open-cockpit biplane is believed to be the oldest aircraft still available to the public for passenger rides. It is among the most advanced of the Swallow series of aircraft that led aviation’s golden age. Swallows had bold design improvements over existing World War I aircraft and fostered a new market for post-war aviation. The brilliant designer Matty Laird created the first Swallow in 1920 and formed an aircraft company in Wichita, Kansas. He ran the company for three years, then sold it and became renowned for his racing aircraft designs. The new officers of the Swallow Aircraft Company included Lloyd Stearman and Walter Beech, who later formed their own aircraft companies. 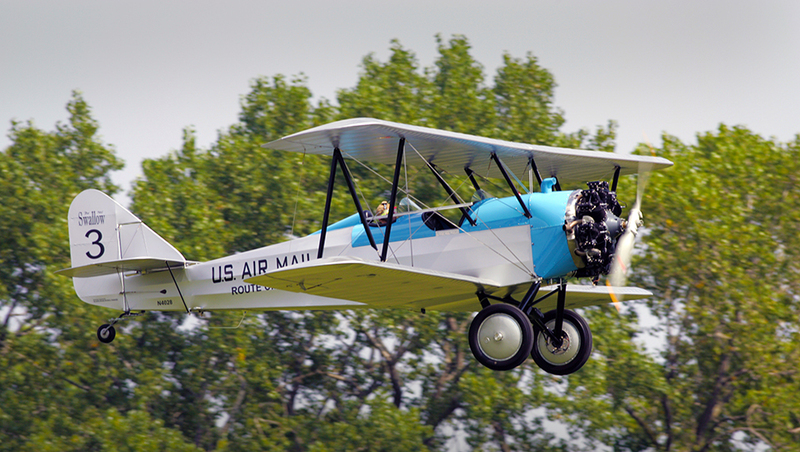 In 1924, Stearman introduced the New Swallow, which became an almost instant success. His brother Waverly Stearman added further refinements, creating the Swallow model that was built during 1927 and 1928. EAA’s Swallow is this later design, bearing serial number 899. 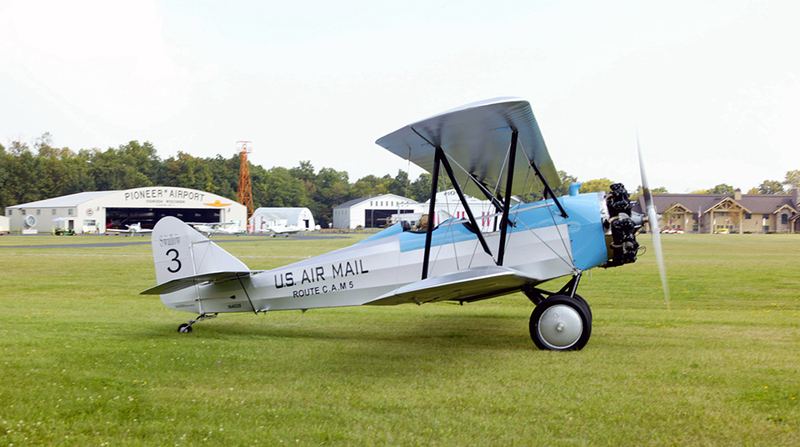 At a price of $2,485 in 1927, Swallow airplanes were very popular and helped support a new industry: air mail. 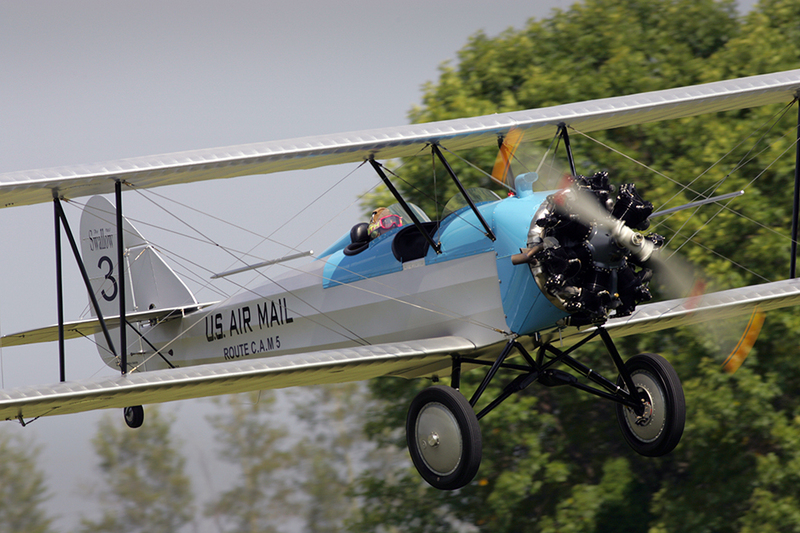 Air mail flying in the 1920s was an exciting, risky occupation. Walter Varney was the only bidder for the challenging route from Pasco, Washington, to Elko, Nevada. He bought six Swallows for the route and quickly discovered that more powerful engines were needed to cross the rugged terrain. Forced landings and crashes were common, but Varney’s company prospered until 1934 when it merged with three other carriers to form United Air Lines. EAA’s Swallow is painted to represent these historic aircraft. The aircraft was donated to EAA in 1976 by John H. McGeary Jr. and remained in storage for many years. A restoration process was started in 2001 under the leadership of Gary Buettner. The project received generous support from the United Airlines Historical Society, Clay Lacy, Stits Poly-Fiber and others. 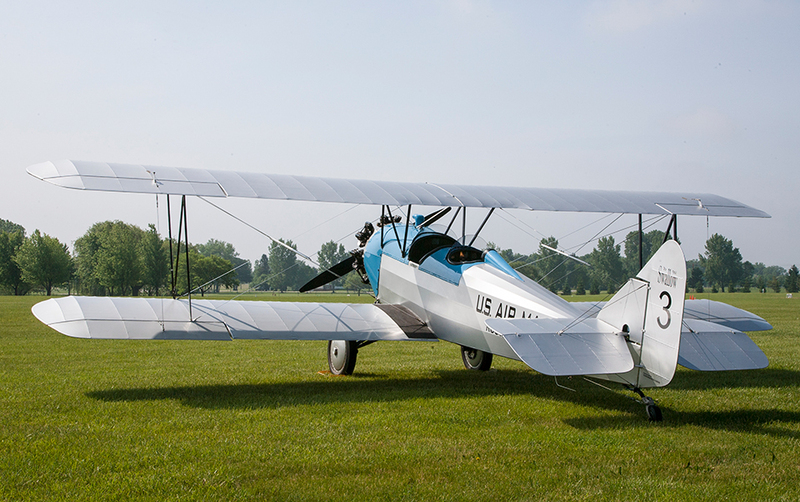 It took to the air again in 2004, test flown by Buck Hilbert, and is now powered by a 220-hp Continental radial, a significant upgrade from the original 90-hp OX-5 engine. The airplane now flies at Pioneer Airport, where visitors can personally experience a flight in this important part of aviation history.